Dr. Rochelle G. Saidel is the founder and executive director of Remember the Women Institute, a non-profit organization based in New York City that carries out and encourages research and cultural projects that integrate women into history. Her own focus is on women during the Holocaust. She is co-editor of “Sexual Violence against Jewish Women during the Holocaust,” part of the Hadassah-Brandeis Institute’s series on Jewish women, making her a National Jewish Book Awards finalist in the Women’s Studies category. Her newest book, “Mielec, Poland: The Shtetl That Became a Nazi Concentration Camp,” is partially based on research done as a Fellow at the International Institute for Holocaust Research at Yad Vashem. Other books she’s written include “The Jewish Women of Ravensbrück Concentration Camp,” rendering her a National Jewish Book Awards finalist in the Holocaust Studies and Women’s Studies categories; “Never Too Late To Remember: The Politics Behind New York City’s Holocaust Museum;” and “The Outraged Conscience: Seekers of Justice for Nazi War Criminals in America.” Dr. Saidel is also the editor of an expanded edition of the memoir of the sister of former New York City Mayor Fiorello La Guardia, entitled “Fiorello’s Sister: Gemma La Guardia Gluck’s Story.” Besides contributing chapters to a number of books, she was also the creator and curator of “Women of Ravensbrück, Portraits of Courage: Art by Julia Terwilliger” for the Florida Holocaust Museum in St. Petersburg. Dr. Saidel has lectured internationally on the Holocaust for more than thirty-five years and was a National Endowment for the Humanities Summer Seminar Visiting Scholar for a seminar on Cultural Responses to the Holocaust in America and Abroad at Brandeis University. 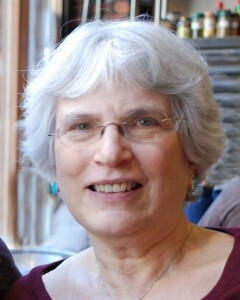 Dr. Saidel received her Ph.D. in Political Science from The Graduate School and University Center, City University of New York. She made aliyah to Israel in 2001, and currently divides her time among Jerusalem, New York City, and São Paulo, Brazil.